I'm a Facebook user from Tanzania. 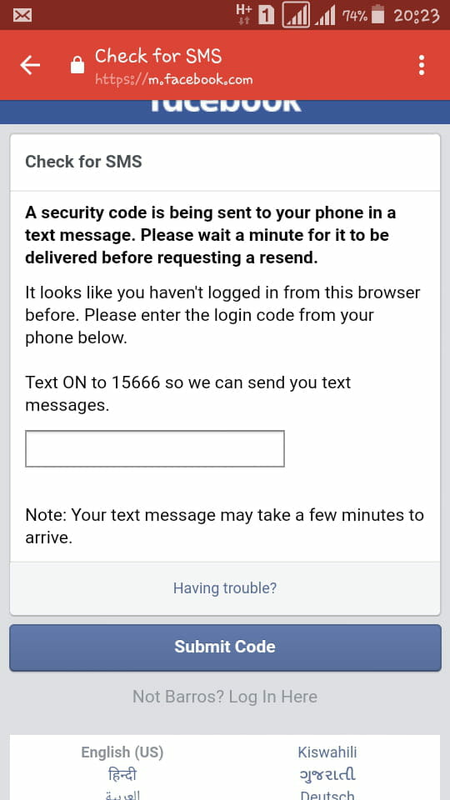 I'm unable to receive the Facebook authentication code even though I'm still using the same mobile number. I don't know what's wrong, but if I try "forgot password" they send me a new password thru my email address, but I'm still unable to log in. Can you let us know if you have forgotten your password or if your account was disabled?